4/11/2019 : Heart to Heart Insurance Agency - Tips to help you Travel safely with appropriate Travel Insurance! Click the image above to view the video. 4/4/2019 : SPOTLIGHT Guide - Tips to help you stay socially engaged and live a healthy life! Click the image above to view the video. 3/28/2019 : Parkinson's Awareness - Get assistance at the Annual Funny Bunny Race for Friends of Parkinson's! Click on the image above to view video. 3/21/2019 : Alzheimer's Awareness and helpful Tips for Caregivers. Click on the Image above to view the video. 3/14/2019 : SPOTLIGHT Guide - Tips to help choose a Senior Community that's right for you! Click the image above to view the video. 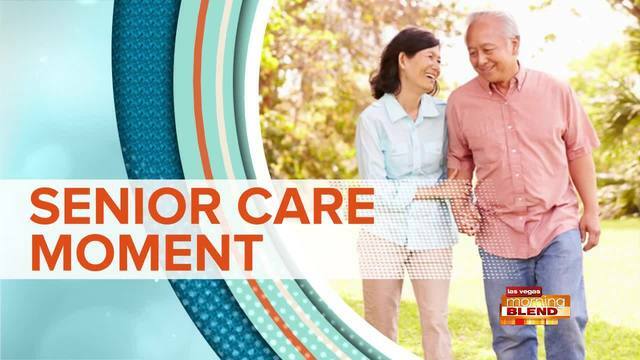 3/7/2019 : Nevada Senior Medicare Patrol - Tips for avoiding Healthcare Fraud. Click the Image above to view the video. 2/28/2019 : Palm Mortuary with helpful tips for pre-planning your final arrangements. Click the Image above to view the video. 2/21/2019 : Legacy House Southern Hills with Tips for choosing an Assisted Living Community. Click the Image above to view the video. 2/14/2019 : SPOTLIGHT with helpful Tips to Manage Caregiver Distress. Click the Image above to view the video. 2/7/2019 : Parkinson's Awareness with helpful Information for Caregivers. Click the Image above to view the video.